Is this thing on? Are you still out there? Yeah. It’s been a while. Okay, six months. But really, who’s counting? Look, I’m not going to insult your intelligence by throwing out some half-baked excuse. The truth is: I haven’t been in the mood to blog. I offer no apology. It is what it is. So, as some of you may recall (or not…it has been a long time), I’ve been busy doing that whole college thing. It dominated my life for a couple of years, but in May, I finished one leg of that journey. I have to say, I was a little unimpressed with the whole graduation thing. It was anti-climatic and…well…boring. Don’t get me wrong, I’m proud of my accomplishment, but there is this sort of fizzling deflation to it all. I spent a long time entrenched in projects and presentations, lectures and exams. I endured the humiliation of “yoga for a grade”, suffered the frustration of group work, and survived a brief foray into historical geology. All of it accomplished without breaking a bone or committing a single felony. Of course, in the spirit of full disclosure, I did spend two months in physical therapy for a blown hip-flexor after the whole yoga fiasco. But thus far, I have succeeded in resisting the urge to run the instructor over with my car – hence the felony-free status. I suppose it’s my own fault really (the graduation thing – not the yoga thing). In my single-minded pursuit of that little piece of paper, I allowed myself to develop unreasonable expectations for what it inferred. I elevated its celebratory value to an unattainable height, and summarily, set myself up for devastating disappointment. The lesson learned here: next time I will skip the commencement and opt for something a little more exciting like watching the Bourne trilogy on Blu-ray in my pajamas and mortarboard, eating take-out, and drinking a bottle of Costco’s finest store brand Cabernet. My post-graduation summer was low-key – just how I like it. I read a few books, dabbled in a bit of writing, staked out my favorite table at the local bagel shop. I took it easy – a well-deserved break. By contrast, fall has been a whirlwind. My daughter is a high school freshman in the marching band. That’s a blog for another day, but let me just say one thing on the subject: EGADS. Fortunately, this Saturday marks the end of competitive marching season. It’s also the beginning of NaNoWriMo. 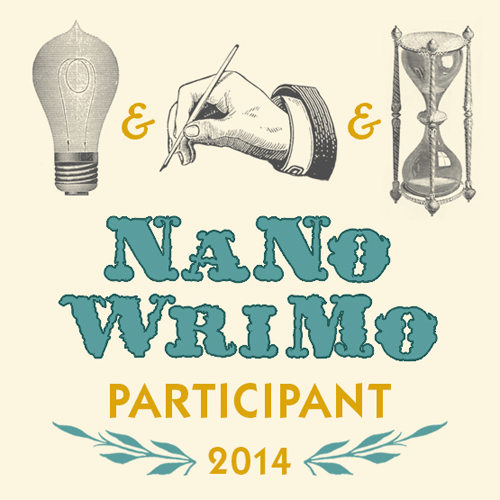 I have participated in two Camp NaNo events – you now the one with the adjustable word count? But I’ve never had the time come November to commit to NaNoWriMo. I’m excited for the new challenge, but a little intimidated. My writing style – the physical act of writing – is slow and tedious. I like to ponder an idea; try it on; strut it out in front of the mirror – really get a feel for it before I buy into it. Definitely not an efficient way to write fiction and needless to say, my current word count reflects such. That will have to change, of course. Otherwise, I will be doomed to failure. I think I’m up for it, though. I’ve started a new project, fallen down the research rabbit hole, dusted off the old Scrivener, and fleshed out a workable plot – albeit rough. Welcome back Peggy. I hope you also feel freshly inspired to take out your camera and share your photos once again. Thank you, Mike. I actually bought a new camera and am trying to get the feel for it. I should be putting some recent shots up soon. Glad to have you back. I’ve always enjoyed lurking on your blog for the crisp writing– and it reminds me of when I was once kept up a regular blog. I miss it, but not enough to get it revved back up. Ah well. Back to you! I’ll keep an eye out for your future posts. Thanks, Jen. I go through phases. Sometimes I enjoy keeping up with the blog, sometimes I harbor deep resentment for it. Right now…I’m feeling creative and in the mood to share.